The Non-executive directors are not employees and are not involved in the day-to-day running of the Trust. Non-executive directors hold other senior positions outside of the Trust and bring knowledge, experience and expertise from other fields, such as accounting, management and organisations outside of the NHS. Their role is to contribute (collectively with the executive directors) to the strategic direction, leadership and management of the Trust, to provide challenge to the executive directors and to bring an independent perspective to the Trust Board. Mark Lam joined as Chairman of the Board in October 2018. He is an experienced board director and digital technologist with global experience in both private and public sectors. Mark is a non-executive director on the board of Social Work England, the new national regulator for social workers. He has previously held a variety of board positions in public healthcare and was a trustee of the University of Essex. Mark began his technology career during the dotcom boom, training at web start-ups before moving into telecommunications and IT. Mark’s longest association was with BT Group, where he was a senior executive, finishing his career there as Chief Technology and Information Officer of Openreach, the national infrastructure provider. Prior to BT Group, Mark led a number of digital initiatives at major global businesses, including Carphone Warehouse and Siemens. Mark comes from Singapore originally and has lived in North London for over twenty years. He holds a degree in English Literature from Oxford University and is a Fellow of the Royal Society of Arts. Ruchi Singh joined BEH in January 2017. She is a Strategy and Transformation specialist who has worked across central government and the private sector for more than 20 years. After a career in management consultancy working for companies such as Ernst & Young, PwC and IBM, Ruchi joined HM Treasury in 2005. There she supported delivery of the Treasury efficiency reviews on the Departments of Health, Justice and HMRC. In 2008 Ruchi joined the National Offender Management Service (NOMS) where she led on efficiency and transformation initiatives including negotiations with police constabularies and the MoD (Ministry of Defence) on the development of the prison population and the reconfiguration of the prison estate. She has also worked closely with the NHS and Public Health England co-commissioning bodies to develop mutually beneficial commissioning strategies. Ruchi has now set up an independent management consultancy with clients including the Financial Conduct Authority and HS2. Charles is currently working for Optum on projects for integrated Health and Social Care. He is also a Special Advisor for Mental Health Inspections for the CQC since June 2014. He has significant experience within the NHS, most notably as Chief Executive of NHS Berkshire West from 2007 to 2011 and then of the expanded NHS Berkshire from 2011 to 2013, overseeing various organisational transitions and responsible for the health care of a population of 950,000. Charles has also been the Director of Social Services in a number of local authorities and his responsibilities have included Housing, Arts and Libraries. In addition, Charles has prior experience of a number of non-executive roles, including being a Trustee for the Primary Care Respiratory Society (since May 2013), member of the NICE TA Committee D (from 2010 - 2013), member of the Board of Trustees for the National Association for the Care and Resettlement of Offenders (from 1997 to 2007), including as Chair of the Mental Health Advisory Committee from 2000 to 2007. Paul joined the Trust in January 2017. He has a lot of experience in the finance and investment sector, having been Managing Director at the Royal Bank of Scotland as well as at a number of other investment banks. He has worked in the City of London for more than over 20 years. He currently holds board positions in the commercial, public and charity sectors, while also managing an investment portfolio for a private family office. After 2007 when Paul lost his central vision due to macular dystrophy, he became involved in a number of sight charities including RNIB, the Macular Society, and Blind in Business, where he continues to use his experiences in dealing with sight loss to benefit others. Paul is a keen sportsman. He’s held a British number 1 Tennis title for the last 3 years, is a brown belt in kickboxing, and enjoys high octane sports in the Alps including white water rafting and canyoning. Paul has two children, and lives in London. Cedi Frederick joined BEH in April 2017. He is the owner and Managing Director (MD) of Article Consulting Ltd, which works with and supports health and social care organisations and leaders. In a 40 year career in the public, not-for-profit and private sectors, Cedi has held a series of senior positions including MD of a BME Housing Association and also Chief Executive of a Barnet based, multi-regional charity that supports people with learning disabilities, autism and mental health problems. Catherine has been an Executive team member at Achievement for All, a national educational charity, since 2011, responsible for the establishment of the commercial strategy and extending the reach of the charity to transform the lives of vulnerable children across the UK. She is also a Non-executive Director and Vice Chair for First Community Health and Care (FCHC) chairing their Finance and Audit, and Remuneration and Workforce committees. Her previous executive experience includes five years as Director of PwC, where she led the Children’s Team working primarily on education and social care assignments. Catherine recently completed a four year tenure as a parent governor for a large primary school in West London, where she was chair for the Inclusion Committee, responsible for setting up a new centre for children with autism. Catherine is a qualified accountant. Neil Brimblecombe joined the Trust in September 2018. He also works as Professor of Mental Health at London South Bank University and Mental Health Clinical Lead for the London Urgent and Emergency Care Collaborative. He has been a mental health nurse since 1986 and previously worked in Executive Director of Nursing and Chief Operating Officer roles in three NHS Trusts. Neil was Director of Mental Health Nursing at the Department of Health for England, where he led a national review of the profession. He completed his PhD on Crisis/Home Treatment services and edited the first book in the UK on this topic. Other interests include the development and evaluation of new roles in mental services and learning from international approaches to mental health care. The executive directors are full-time employees of the Trust and are the most senior managers responsible for its day-to-day running. They decide the future strategy and direction of the Trust, are accountable to independent regulators, and are responsible for ensuring clinical and corporate effectiveness. Each executive director has their own area of responsibility. Jinjer Kandola joined our Trust in July 2018 as the CEO. Jinjer brings with her a wealth of knowledge, with over 18 years senior level experience across both mental and physical healthcare. She joins us from Hertfordshire Partnership University Foundation Trust where she was the Deputy CEO and Executive Director of Workforce and Organisational Development. Jinjer was the lead for the Trust cultural change programme which embedded the Trust vision and values, as well as an ethos of continuous improvement. Jinjer believes passionately in collective leadership and is focused on improving the quality and safety of care for our patients by empowering staff to focus on the best outcomes for our patients and their families. She is empowering our staff to share learning as well as developing a culture of putting service users at the heart of everything we do. Jinjer has a background in Human Resources and in 2015 was awarded the prestigious title of the Human Resources Director of the Year. Dr Bindman joined the Trust in December 2013 from South London and Maudsley NHS Foundation Trust (SLaM) where he was clinical director for Lambeth (2006-10) and for the Mood Anxiety and Personality Clinical Academic Group at SLaM and King's Health Partners (2010-13). He has an academic background in health services research at the Institute of Psychiatry, (1995-2005), and has also worked in a range of adult mental health teams, both inpatient and community. Jonathan set up two crisis resolution and home treatment teams in the early 2000s, and developed an interest in personality disorders and in the primary/secondary care interface while working in an assessment and treatment team. He now does his clinical work in the Barnet Complex Care Team at Edgware Community Hospital. Amanda joined BEH in October 2018. She qualified as a mental health nurse in 1993 and spent much of her early clinical career in adult acute mental health in both inpatient and community services. Amanda held a number of nursing leadership positions within South London and Maudsley NHS Trust and has led a number of organisational wide improvement programmes. Amanda has an extensive academic background, completing the prestigious Florence Nightingale Foundation Leadership Scholarship, and an MSc in Leadership and Healthcare Improvement at London Southbank University, and is also a trained Improvement Advisor from the Institute for Healthcare Improvement. Jackie began her career working in the BBC and the financial sectors in the UK and UAE, undertaking training needs analysis for clients and providing training on career development. She became a freelance HR consultant in 1997, before joining the NHS 14 years ago. Jackie’s first NHS role was for the Royal National Orthopaedic Hospital NHS Trust in London where she worked as Head of Engagement, Learning and Development, working as deputy to the Director of HR and OD. She joined BEH in 2015 and led on the refresh of the Trust values and commissioned and co-designed the ‘living our values’ programme which many of you will have been part of. Jackie has also co-produced the strategic leadership programme in association with Middlesex University to increase the Trust’s portfolio of leadership and management development. David joined the Trust in September 2017 as Executive Chief Finance and Investment Officer. 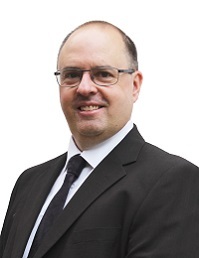 He is a member of the Chartered Institute of Public Finance and Accountancy, and has an extensive range of NHS experience as finance director of both commissioning and providing organisations, most recently as Director of Resources of North Essex Partnership University NHS Foundation Trust. Stanley joined the Trust at the end of November 2018. He is a nurse by background and has spent most of his career in the NHS. As an Executive Director he has led substantial strategic change and service transformation with organisations including; Lincolnshire Partnership Trust, Surrey and Borders Partnership Trust and Hertfordshire Partnership Trust. In the last few years he has worked as a health consultant undertaking specialist roles or complex projects in the UK and also Asia. Most recently, this year he worked as Improvement Director, alongside staff in West London Mental Health Trust. Stanley is also a Tottenham fan so should feel at home in the Trust.